Every Android User know What is PlayStore as They know very well about it. Google”s PlayStore Consists of more than 700,000 Apps Games and Counting increasing day by day.Also The PlayStore surpassed most highest number of downloads too.But Many of apps are Paid or lite version is available with less functionality and also some Low Quality apps also introduced in PlayStore As per Different Categories. Today, We are sharing Free Alternatives to Google Playstore i.e, Not all the apps FREE But Apps that are paid in PlayStore, you may find free alternative to them and also find new apps in different appstores. First of all Clear that,this is not Recommended to do so as You are installing App From Third Party Services and There may be Possibility of getting Malware on your Device! But As per Our Use and Survey on Different Stores We have Listed out some Top Rated AppStores that are Better in Quality Control and Thorough AppStores Checking for Malwares too. Read Also: Boot In Windows 8 Safe Mode Without Any Software! This will make sure that Any app install out of Play Store will be installed without any warnings. As There are lots of alternatives with some of are giving Pirated versions of apps too are not Recommended to use! 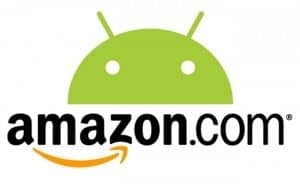 The Highest Quality Control over the Introduced apps and People recommends Amazon Appstore and it is the Main Location for Kindle Line of Tabs. Even if you getting Less number of Selection in particular categories but that is because of Quality standards of Amazon Appstore. Android Plateforms Users may be knowing of GetJar as it was Great alternative to Device specific Appstore at that time and at present too! There are huge number of apps are included here with divided into Categories.There are sponsored recommendations and different apps too alongwith Getjar Gold and Getjar rewards app schemes that may help you to Earn Premium Apps and upgrades free. This is Another Alternative has a Global Reach, Offering Free Premium Apps and all are pass through a quality control process. There are many attractions including various payment options with Paypal Too. It is said to be that, It is possible to get a greater percentage of the revenue generated by your app with Slide ME, than the standard 70 percent you’ll get in most places. 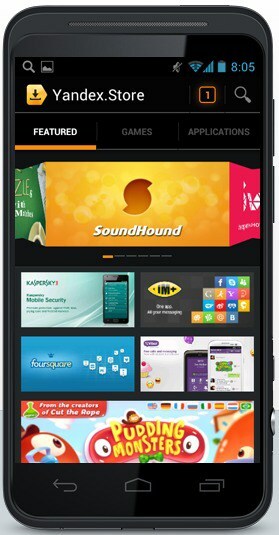 This one is also used majorely among android users to upload and invite users to download and experience your app. New Developers upload their apps on this plateform first to check whether application have any problem or not. This one is another great alternatives with more than 50,000 Apps in Yandex Store and all the apps are checked for malwares using the Kaspersky Anti-Virus and so you are 99.9% Safe with downloads from Yandex. This is another great alternative available to Play store apps with lot of application and sorted in different categories including Creating your custom feeds too.The main Use/feature of Fetch is that it allows you to narrow down your search by using an absurd amount of parameters alongwith searching Games with 2D/3D options too. There are also Some other Appstores like F-Droid, AppBrain but I will recommend Above Mentioned as I tried them Personally. I will just say that with trying apps from Default Play Store you may also like the apps that are not included in Playstore because of some reasons and try different variety of apps games in different above mentioned alternatives.